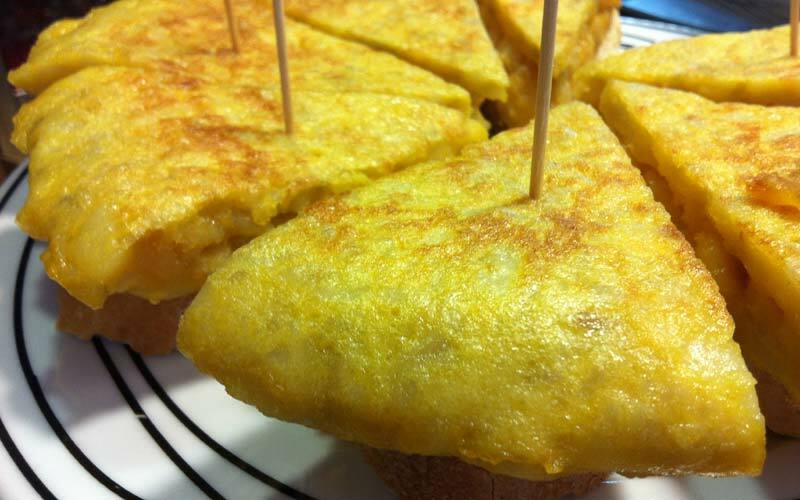 Tortilla de Patatas (Spanish omelet) is probably one of the best known Spanish dishes. Especially eating tortilla in Bilbao, is one of those gastronomic experiences that you must live once in life. Bilbao is famous for its pintxos*, and tortilla is one of the most famous. 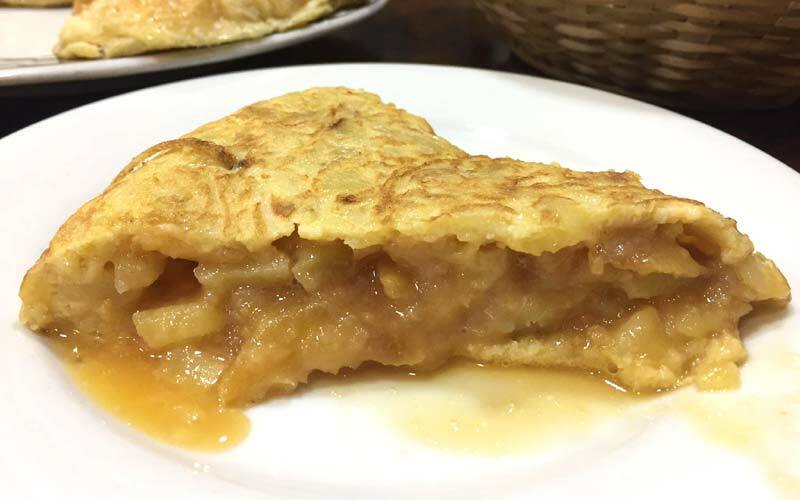 Enjoy your tortilla de patata with or without onion, stuffed, set or drier … The options are so many that choosing will seem quite a challenge to you. 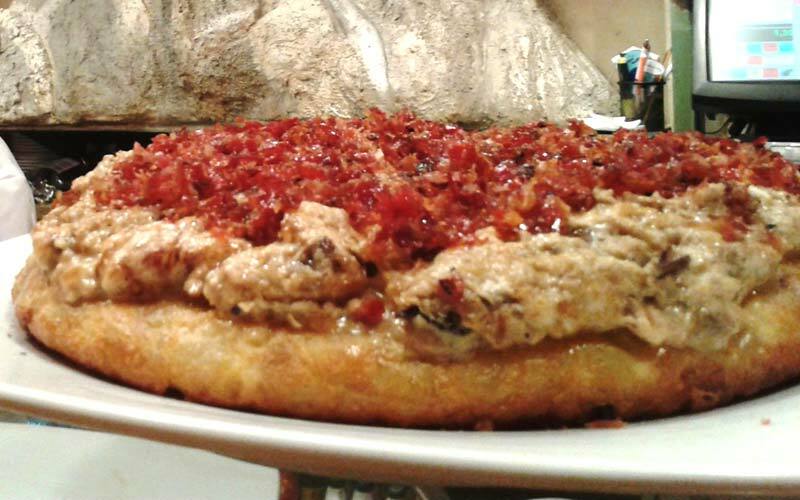 Below we show you some of the best places to eat tortilla in Bilbao. Located in the Old Town, K2 is an establishment where you can try pintxos de autor. In the Siete Calles of Bilbao (one of the names of the medieval neighbourhood), specifically in Somera, this pub offers a wide range of classic Spanish dishes. If you want to eat a usual omelet, here they prepare it toasted on the outside, creamy on the inside and well set. They also make vegan, mushrooms and ham, or fungus tortilla … And if you accompany it with a zurito( small glass of beer), the pleasure is double. In the neighborhood of Santutxu you should visit the family bar Gaineko with an abundant bar of pintxos. If you’re looking for an omelet that will leave you more than satisfied, here they serve generous portions. 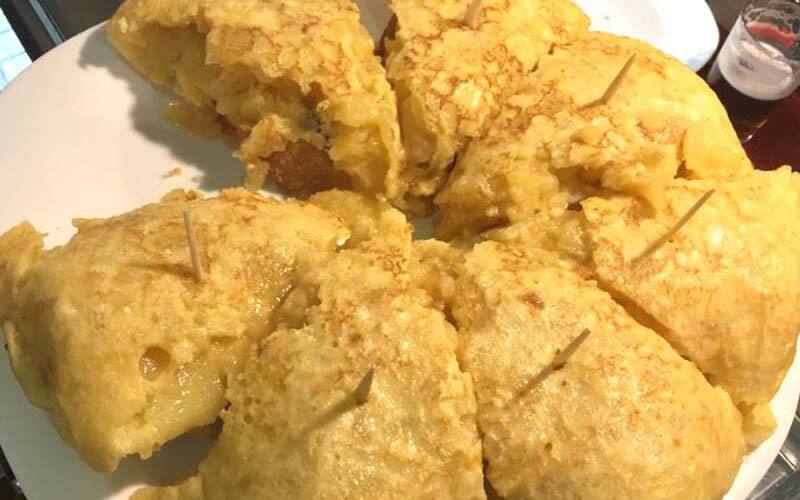 Gaineko’s tortilla is thick with a creamy interior loaded with candied potatoes. Their tortillas are made with quality ingredients and great care. You also have the option of take away. Tortillas are make with onion, Piquillo Peppers, ham and cheese, bonito or vegetarian… Gaineko may be an ordinary bar but with never-ending options to try pintxos of tortilla. A typical local bar to try different pintxos of tortilla. Eating tortilla in Swansea is very simple; you just have to choose between all its flavors: tuna, ham and cheese, peppers with serrano ham … However, nothing compares to savoring the traditional recipe. The classic tortilla is the customers’ favorite. For breakfast or brunch… The tortilla at the Nashville Bar is a gastronomic experience that all locals enjoy. It has earned the reputation of having one of the best tortillas, well elaborated and at its point of salt. They also prepare them less thicker, but with all their juiciness. The classic tortilla with onion or without it and also with ham and cheese are also a must try. Although onion is the best praised ingredient, all tortilla versions are worth to try. With the first bite you taste its tender potatoes and … can’t help but continue eating. Also, If you choose to take your coffee after the tortilla, the price is very reasonable. 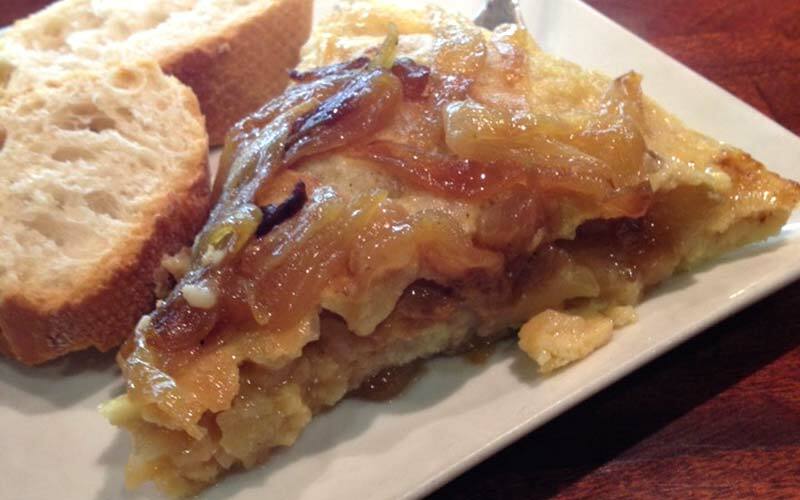 Bilbao is a city where eating tortilla becomes a significant pleasure. Tortilla pintxos fill the bars, as in the case of Los Candiles. Its popularity precedes it and the taste of its tortillas confirms it. They prepare them in a quite original way: Instead of cooking the onion with the eggs, they serve it on top of the tortilla. This onion confit is delicious! Their tortillas are less set and have a very characteristic mellow flavor.